I just had a look at new website- very good, however I noticed that a colour photo of mine you previously displayed on the 1970's images is no longer there (Air Movs Akrotiri at farewell do outside Halils Kebab House in Limassol) all other photos seem to be black and white. Is my assumption correct that you can only display black and white photos? Before I receive any messages regarding joining the MAMS Association, now that it's open to non MAMS members. YES, I have sent in my application form plus membership payment. Let's hope a lot of other serving or ex Air Movers do the same. Nice to see a new member from my era. It looks as though Dennis Martin’s start is almost as similar as mine. I too started my working life as a junior on the railway working in the commercial side but my reason for signing on in the RAF was for the ackers!!! Most UAH’s carried just freight, however some had a few passengers aboard usually high ranking officers or boffins, probably a passenger listed as a "Mr Jones" could have been William Penney??? As you know, like Jim Aitken, I worked with H.M.Customs in the hut across the parking pad from the main air movements section at Lyneham, but I do recall wandering into the office where they kept the computer used to calculate the weight and balance sheets, it was quite large contraption which looked like a ‘Heath Robinson’ machine and should be in the British Museum now. Another stirring in the old brain box was when we had to fiddle the weight and balance sheets. A Hastings arriving at Mauripur on it’s return journey to the UK would come in from Negombo full all up weight but for it's next lap to Habbaniya it could be against strong head winds and would have to take on a couple of hundred extra gallons of fuel. So we would have to contact the pilot, who would now be in the officers mess, and inform him of the situation that on paper he was going to be a couple of thousand pounds overweight. On most occasions we would be told to ‘lose’ the water and a few other items. The next morning he would sign the sheet at 80,000 lbs but in actual fact would be around 82,000.tut tut!! As my main duty was preparing weight and balance sheets I got good at it although goodness knows what might have happened had the kite had a crash. The pilot accepted by signing the sheet, as did the movements officer, but he hadn’t got a clue as to what he was signing anyway. The Egyptians built the Pyramids in the shape of huge triangular cubes. The French Revolution was accomplished before it happened and catapulted into Napoleon. Napoleon wanted an heir to inherit his ower, but since Josephine was a baroness, she couldn't have any children. The Bible is full of interesting caricatures. In the first book of the Bible, Guinessis, Adam and Eve were created from an apple tree. Moses went up Mount Cyanide to get the ten commandments. He died before he ever reached Canada. The airplane was invented and first flown by the Marx brothers. Hitler's instrumentality of terror was the Gespacho. Noah's wife was Joan of Ark. Middle Eastern history was written by Florence of Arabia. The Soviets erected the Berlin Mall? Plato invented reality. He was teacher to Harris Tottle, author of The Republicans. Germany's William II had a chimp on his shoulder and therefore had to ride his horse with only one hand. The Germans took the by-pass around France's Marginal Line. This was known as the "Blintz Krieg." Corruption grew especially ripe in Zaire, where Mobutu was known to indulge in more than an occasional little armadillo. The plurious of wealth was therefore uneven. The rural populous was reduced to tenement farming. The Boston Tea Party was held at Pearl Harbor. Americans wanted no involvement in the French and Indian War because they did not want to fight in India. Moses was told by Jesus to lead the people out of Egypt into the Sahaira Desert. The Book of Exodus describes this trip, including the Ten Commandments, various special effects and the building of the Suez Canal. I would just like to add my condolences to the family of Ray Smith. 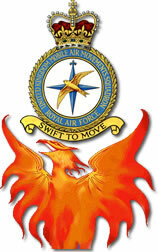 I worked in Mov 6(RAF) Charter-Coordinator on the 9th Floor of MoD when Group Captain Smith was DD Mov (RAF). I would just like to say he was an Officer and a gentleman and although I was the lowest rank on the 9th Floor, he would always pass the time of day and ask how my family was getting on. He also helped me with a domestic situation when my mother was in Australia on holiday and I have not forgotten his kindness. My my we have hit a raw nerve haven't we! Not at all concerned over reaction to comments to date from some quaters. Something about "if the hat fits" comes to mind. Forever onwards is the banner call. As you so correctly said, the odd injection of "tales" can liven things up. To continue, who was the SNCO who instructed yours truly to deploy to Landivisiau by road because he got confused with Lakenheath? New one on me, so I dived for the always present and handy Reader's Digest World Atlas. Yup, found it, Landivisiau, France - French airbase. Would have been a nice drive too. Ended up deploying on a Brit. Picture this: It's 2am, raining, and altogether pretty uncomfortable weather. Being entangled beneath a Condec 25k, attempting to secure the beast in accordance with the mandatory tie-down scheme wasn't my idea of having fun. I can't exactly recall the precise procedures to effect this tie-down, but isn't there a paragraph or five about a head count before lowering the suspension? If there was it never happened in this instance. Talk about my life passing before my eyes. After many deep breaths, I felt composed enough to proceed to give a very young looking team leader the biggest rollocking of his life. The incident resulted in me being severely reprimanded - work that one out. Remember my last article about good team leaders & SNCOs? Say no more! I have been browsing through the old archives and all I see is Big Murdo MacLeod's name all over the place. Also Derek Barron and Big Jock Oram. When I first met Big Jock at Fairford he couldn’t finish his last pint and that was only his second one! Big Derek landing up as a flight sergeant, good grief who was bribing who? I came out as an old SAC in December 1969. I can recall going up to the USAF base at Alconbury and going up to the SNCOs club showing my F1250 (Rank = SAC) to the doorman and announcing it stood for "Sergeant Air Crew" - which was swallowed on a good number of occasions and so was the gutrot that they sold over the bar. Do you remember those days? Robbie Taylor - you were at Wyton – aye, we could all write a book. For you guys that remained in for the duration, I congratulate you all, and in all sincerity the ranks you all achieved. My old friend, and I think everyone’s pal, Chick Hatch, well done, you were a leader of men! I had lost the plot a wee bit over the last 30 years and on finding the OBA website I realised we were the cream in those days. This is not take anything away from the young teams today, but when their time comes to reminisce then no doubt this website shall still be open and the mysteries of how to work computers will be a thing of the past. I wear a badge on my blazer with pride, it says, “Air Transport Command, Royal Air Force”. To Squadron Leader Jack Riley - from one Jack to another - I thought you might have heard of Flt Lt De la Rue-Brown. I wish to send some funnies later on about Northolt Air Movements 1962/1963. If there are any of the old boys tuned in, especially Sid Powell and company, do you remember playing cricket out on the pan when we had a quiet day? It was not for me, I hated it! Some right crackers coming up later about Tom Kennedy - he hailed from Ceylon originally - he told me that he lived behind the zoo in Ceylon, I tell you he should have been in the zoo! Hey Big Murdo! Now I have read all the OBA archives I see that you did not receive any medals when you were in the RAF. I think you should be mentioned in despatches with all the entries you have had in the OBA briefs. I'm so sorry that your age is catching up on you pal, I am 6 months younger than you and still going strong. Remember to wear a hat out in that warm sun, take care out there, and I look forward to sharing a wee drop of the amber nectar with you when you return. Zorroastrologism was founded by Zorro. This was a duelist religion. During the Dark Ages it was mostly dark. Christianity was just another mystery cult until Jesus was born. The mother of Jesus was Mary, who was different from other women because of her immaculate contraption. The fall of empires has been a good thing, because it gives more people a chance to exploit their own people without outside interference. Roman girls who did not marry could become Vestigal Virgins, a group of women who were dedicated to burning the internal flame. Machiavelli, who was often unemployed, wrote The Prince to get a job with Richard Nixon. History is nothing more than the behind of the present. This gives incites from the anals of the past. The British Empire is in a state of recline. Its colonies have slowly dribbled away leaving only the odd speck on the map. Civil rights leader Martin Luther Junior was slain in the 1960s, shortly after making his famous "If I Had A Hammer" speech. World War II began turning around when the Allies landed near Italy's toe and gradually advanced up her leg. Hitler shot himself in the bonker. When the Davy Jones Index crashed in 1929 many people were left to political incineration. Some, like John Paul Sart, retreated into extraterrestrialism. The New Deal was an idea inspired by Franklin Eleanor Roosavelt. Satan Husane invaided Kiwi and Sandy Arabia. Spartacus led a slave rebellion in ancient Rome and then appeared in a movie about it later. Judyism had one big God named Yahoo. Martin Luther nailed 95 theocrats to a church door. The greatest writer of the Renaissance was William Shakespeare. He was born in the year 1564, supposedly on his birthday. He never ade much money and is famous only because of his plays. He wrote tragedies and comedies, all in Islamic pentameter. Romeo and Juliet are an example of a heroic couplet. Romeo's last wish was to be laid by Juliet. Writing at the same time as Shakespeare was Miguel Cervantes. He wrote Donkey Hote. Christopher Columbus was a great navigator who discovered America while cursing about the Atlantic. His ships were called the Nina, the Pinta, and the Santa Fe. Thomas Jefferson and Benjamin Franklin were two singers of the Declaration of Independence. Franklin discovered electricity by rubbing two cats backwards and declared, "A horse divided against itself cannot stand." Soon the Constitution of the United States was adopted to secure domestic hostility. Under the constitution the people enjoyed the right to keep bare arms. Abraham Lincoln became America's greatest Precedent. Lincoln's mother died in infancy, and he was born in a log cabin which he built with his own hands. Abraham Lincoln freed the slaves by signing the Emasculation Proclamation. On the night of April 14, 1865, Lincoln went to the theater and got shot in his seat by one of the actors in a moving picture show. he believed assinator was John Wilkes Booth, a supposedly insane actor. Lincoln's death ruined Booth's career. The Greeks invented three kinds of columns, Corinthian, Doric and Ironic. Magna Carta provided that no man should be hanged twice for the same offense. The greatest writer of the futile ages was Chaucer, who wrote many poems and verses and also wrote literature. It was an age of great inventions and discoveries. Gutenberg invented removable type and the Bible. Another important invention was the circulation of blood. Johann Bach wrote a great many musical compositions and had a large number of children. In between he practiced on an old spinster which he kept up in his attic. Bach was the most famous composer in the world and so was Handel. Handel was half German half Italian and half English. He was very large. Beethoven wrote music even though he was deaf. He was so deaf he rote loud music. He took long walks in the forest even when everyone was calling for him. Beethoven expired in 1827 and later died for this. The nineteenth century was a time of a great many thoughts and inventions. People stopped reproducing by hand and started reproducing by machine. The invention of the steamboat caused a network of rivers to spring up. Karl Marx became one of the Marx brothers.